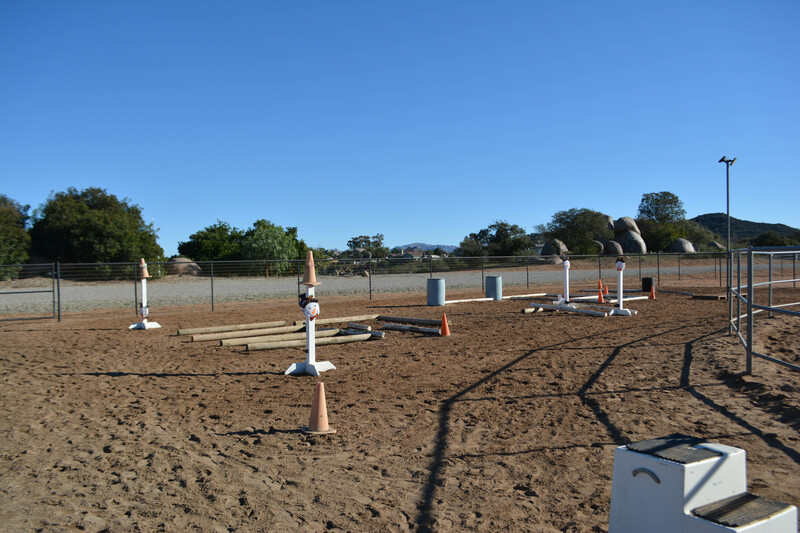 We offer full-service equine board and retirement care for GELDINGS ONLY. Horses are housed in 24’x24′, partially covered pipe corrals with shades, wind walls, matted feeding areas, three daily feedings, daily cleaning, and two weekly individual turnouts are included in our monthly board rate. 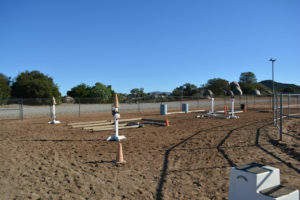 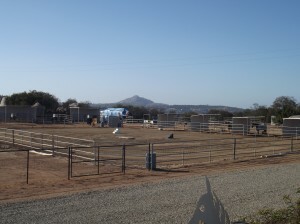 Our 82′ x 120′ arena and 60′ lighted round pen both have sand footing. 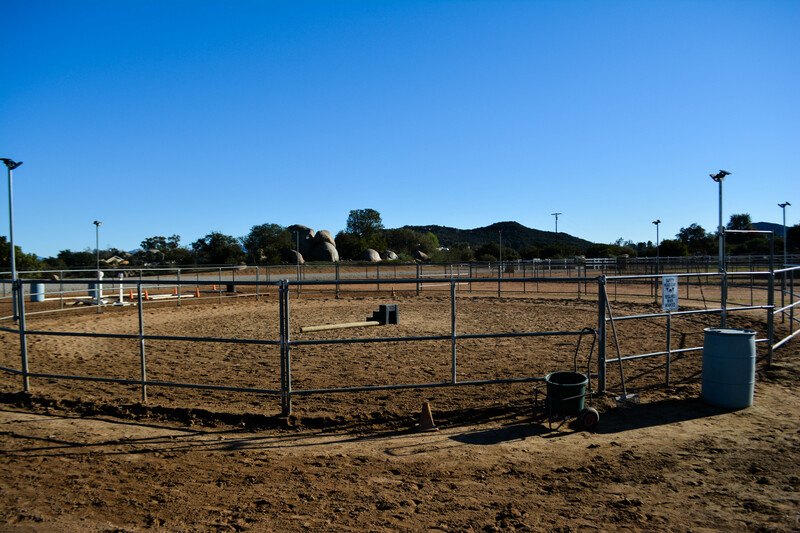 We also offer a separate groom and wash area for our board clients, along with the option of private or shared tack rooms. 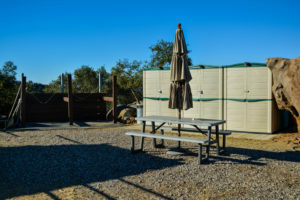 Spacious trailer storage areas are also available. 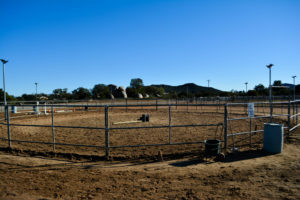 Trails from our ranch network through the West end of Ramona, around Mt. 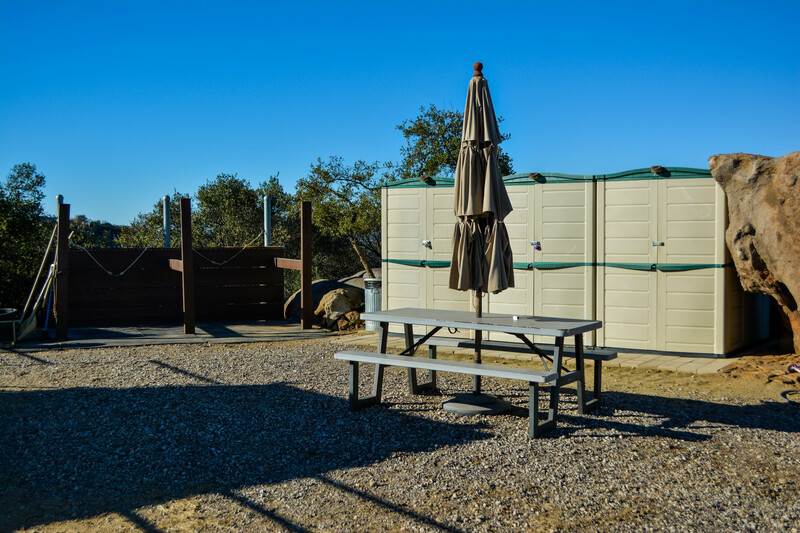 Woodson, toward Poway and into the Ramona Grasslands Preserve.